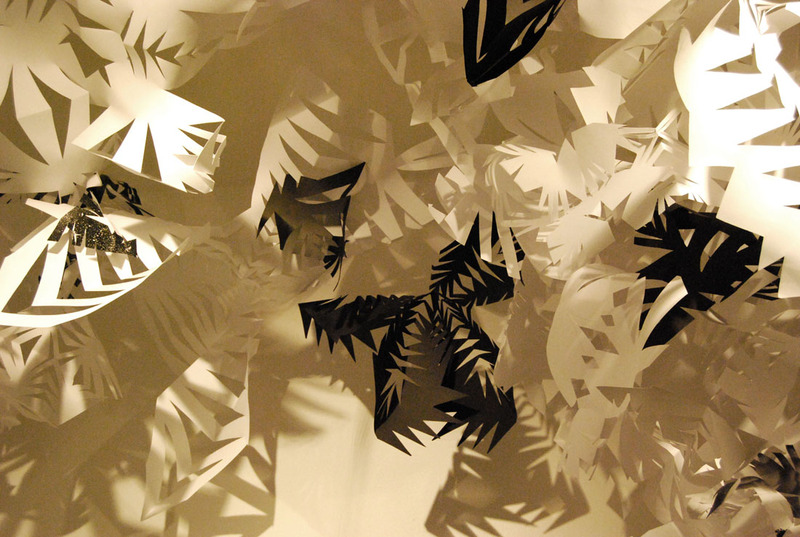 In this body of work artist Lauren Simmonds places the viewer in the center of a quest for meaning. Directing our gaze up, she asks ‘What do you believe in?’. Overhead, morphing out of a swelling cloud are birdlike forms. Are they a flock of angels or swarming harpies? 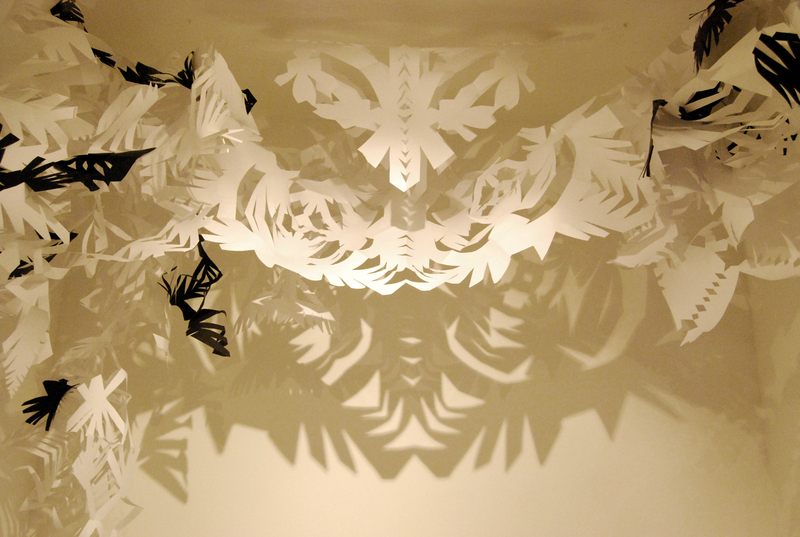 Their paper cut wings catch the light – are they promising hope or torment? Meaning becomes a psychological projection, a game of cloud gazing for the audience as the artist releases a subconscious play of free association. 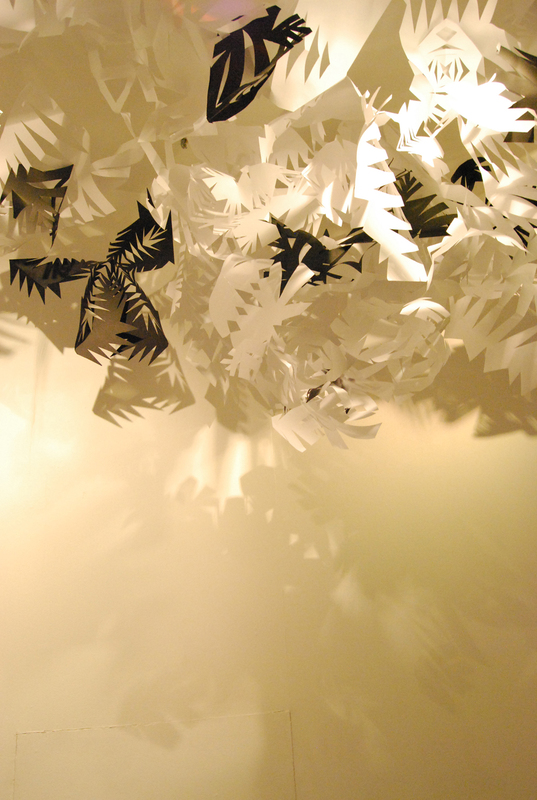 Formed of randomly cut paper, an intuitive lace-like pattern moves across the ceiling – the cloud giving birth to piles of paper on the floor. 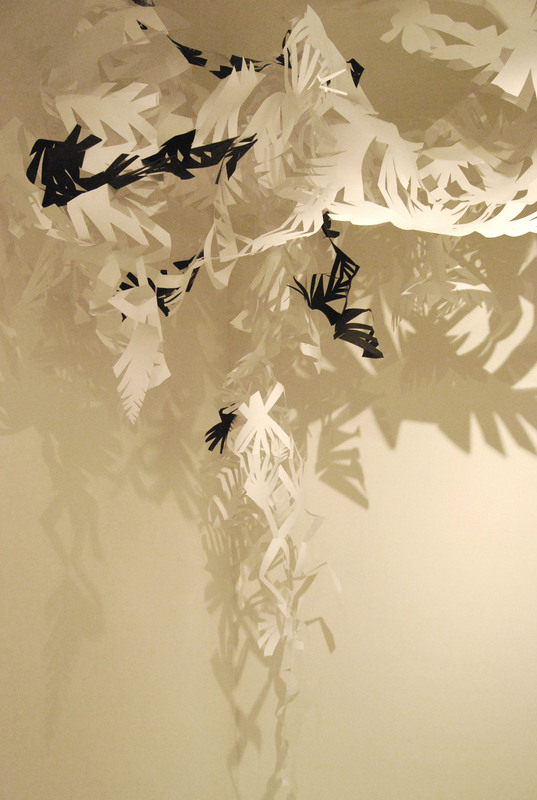 Lauren Simmonds is interested in exploring the fragmentation between contemporary culture and spirituality. 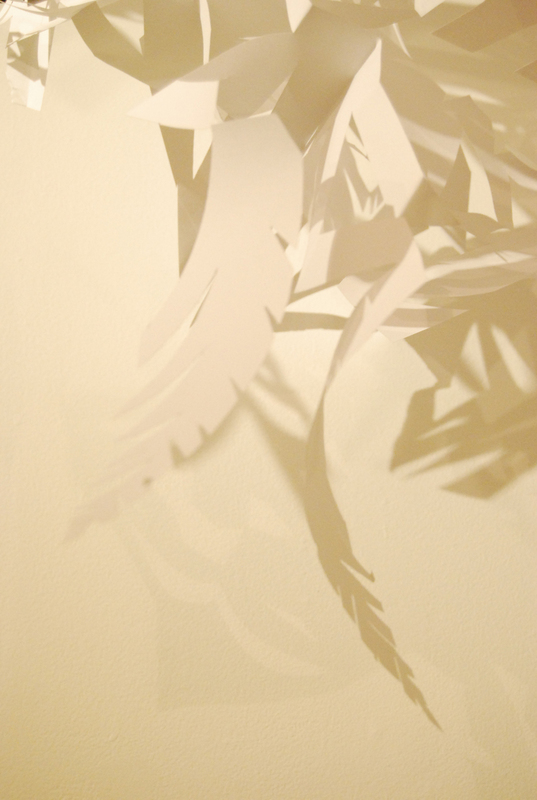 ‘What do you believe in?’ is the question and theme which drive this work.